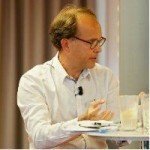 Vincent is currently Open Innovation Corporate director with Bouygues SA, the holding company of the Bouygues Group, Vincent focuses on open innovation and business development across the whole group, with an emphasis in the field of Digital transformation, Energy, Smartgrids & Ecocities. Bouygues is a diversified industrial group with a strong corporate culture, organized around 3 sectors. Construction, with Bouygues Construction (building, civil works and electrical contracting), Bouygues Immobilier (property development) and Colas (roads); Telecoms with Bouygues Telecom and Media with TF1. Bouygues is operating in almost 100 countries, it has a workforce of 120,000. Sales: €32.4 billion in 2015. Listed on CAC40. previously as a Project Executive with IBM Global Services. Vince is very familiar with international environments. He set-up and led the US Office of Bouygues Telecom for 4 years. Vincent serves on the board of directors of Bouygues Asia, an outpost of the Group based in Tokyo for the purpose of technology scouting and business development; He is also a board member of Cap Digital, the French cluster for digital transformation and serves as president of its Membership Committee. Vince is a graduate of ESPCI ParisTech, Paris, France – Master’s Degree in Physics, Master’s Degree in Chemistry – and from Université Pierre et Marie Curie, Paris – Master’s Degree in Electronics.